Citrus Twist Kits | Blog : 3 - To - Inspire with Amanda! 3 - to - Inspire challenge! 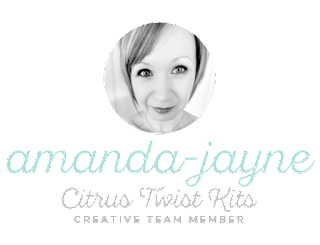 Amanda here, and I am so super excited to be sharing more of our amazing Life Crafted Kit! This new look kit has me swooning! 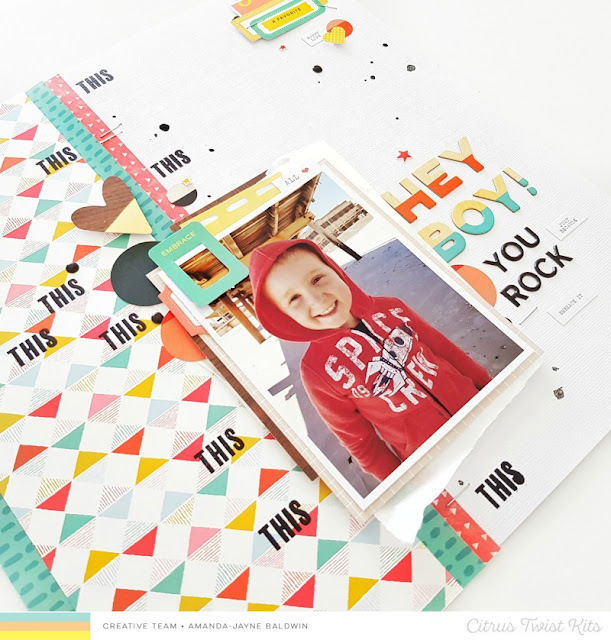 I love this new look & fun approach to everyday documenting, but I also still love my 12 x 12 style of scrapbooking! So for today's challenge, I am also incorporating how I use Life Crafted for 12 x 12 layouts too! Yay! 1. Stamping - There are four fabulous CTK stamps this month, and one's an exclusive included in the Life Crafted kit. Have fun & get inky! 2. 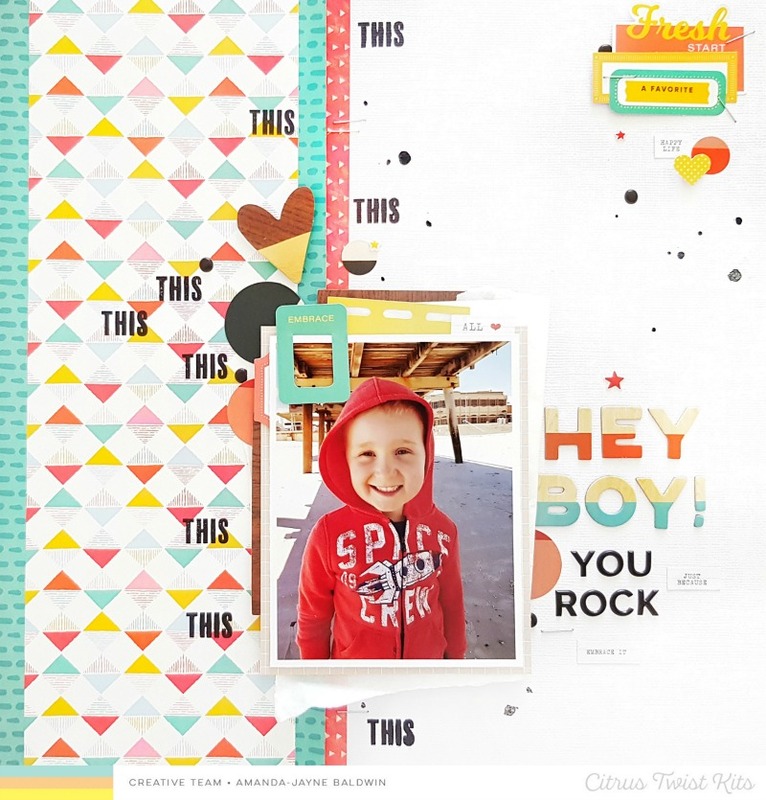 Stickers - There are some fabulous stickers in both the Life Crafted Kit and the Scrapbooking Add On Kit! I'm especially loving the Tiny Word Stickers in the Life Crafted Kit. 3. Ephemera - Again, you'll find them in both kits, or you could make your own from our monthly printable cut aparts! Yayyy! Such a fun & easy challenge for you to play along with! How awesome is this?!! Such a fun page for my cool kid! 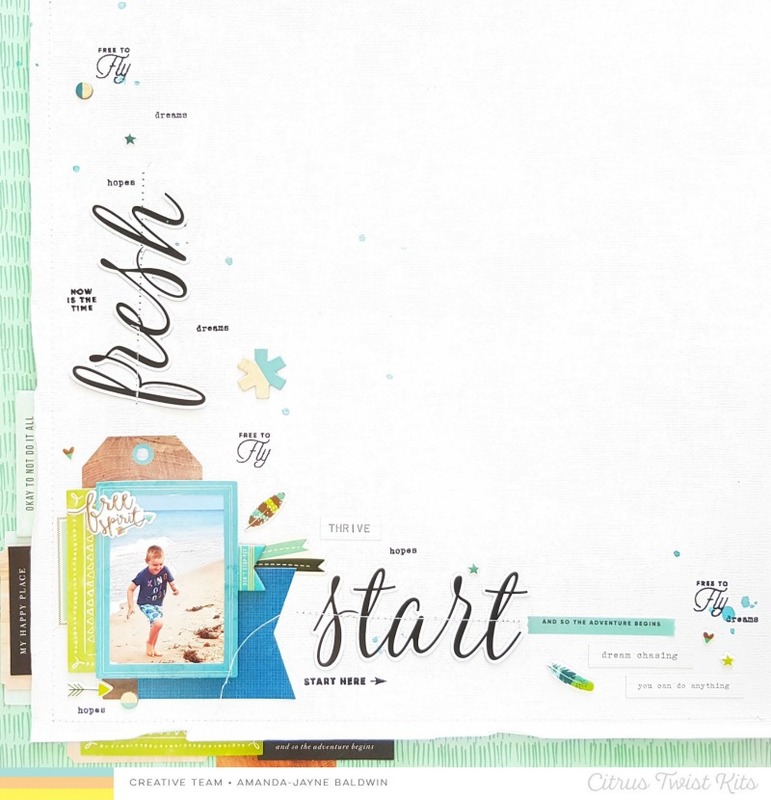 I use the white cardstock and Shine Bright paper from the Scrapbooking Add On kit for the 12" elements in my layout. 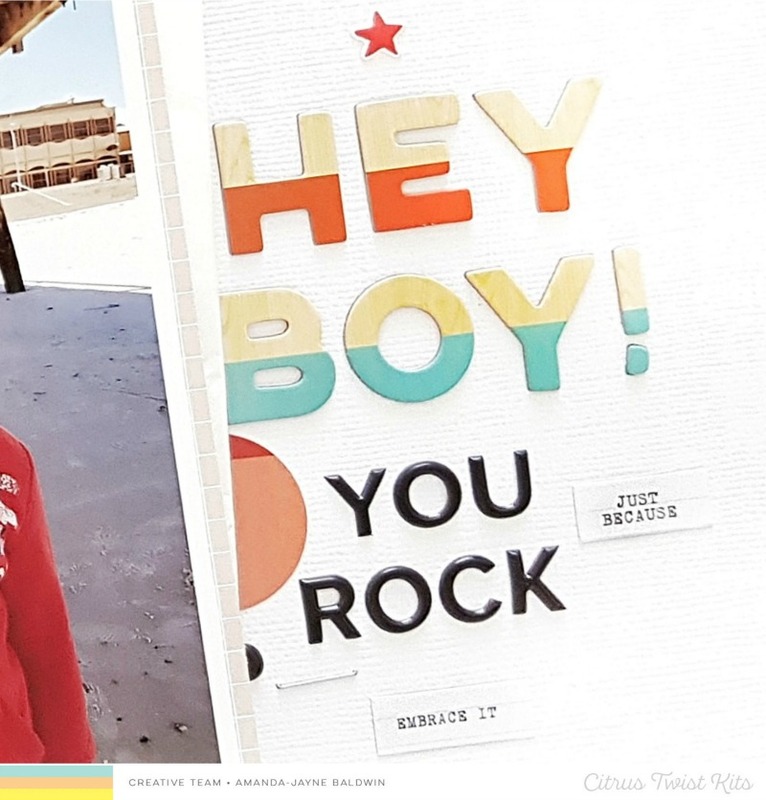 I layer my photo onto the exclusive Life Crafted pattern papers, and ephemera and then go wild with embellishing! 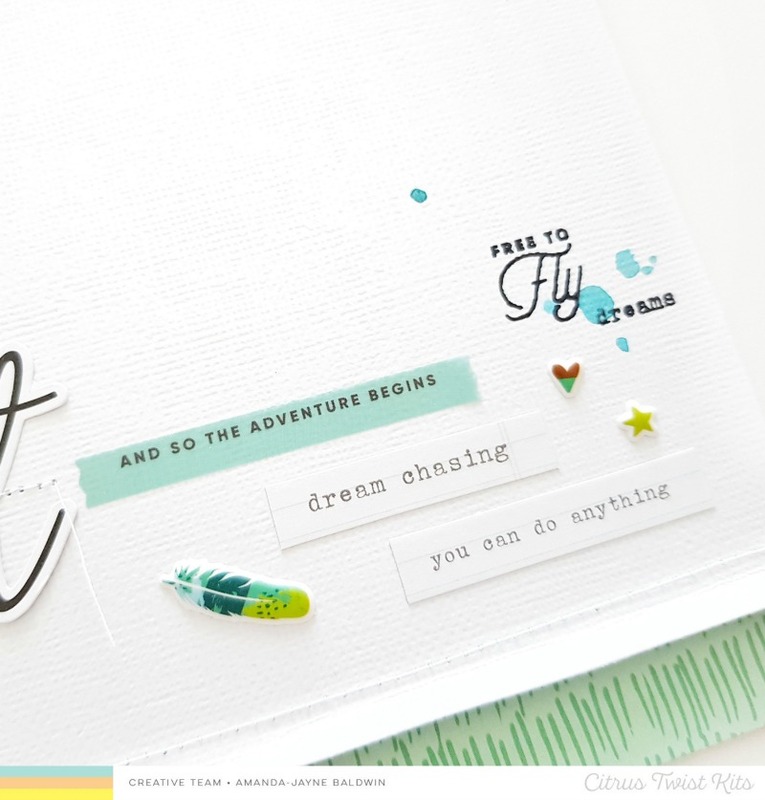 The "THIS" stamp is from the exclusive Fresh Starts stamp set in the Life Crafted Kit. I repeat stamp it for maximum impact - so striking & tons of fun too! For the stickers element, I feature a mix of stickers from both kits but I am really crushing on the Tiny Word Stickers in the Life Crafted Kit - so good! How cool are those faux enamel dots?! They're actually the inner circles from the O's in the Black Puffy Alphas Stickers in the Life Crafted Kit. Perfect! You can see that the Scrapbooking Add On Kit has been carefully curated to compliment the Life Crafted Kit so we can enjoy the best of both memory keeping options! Yay! Love it! Whoa! Another super boy page for my Mister A for Awesome! Again, I have combined both the Life Crafted & Scrapbooking Add-On Kits to create my scrapbook layout. 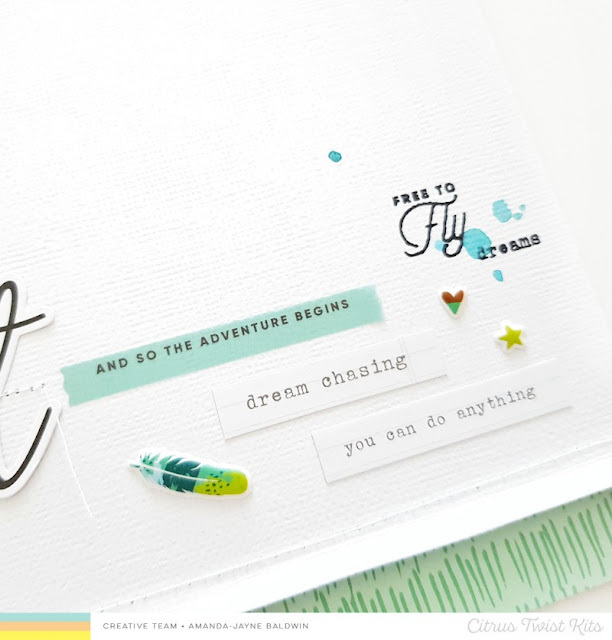 I have also featured the Life Crafted Travelers Notebook Stamp; a new fave of mine! The L shaped design of this layout is really eye catching, and I adore the split title! To add even more interest to it, I machine stitched it into place! Oh, and that title? It's from the exclusive CTK ephemera in the Life Crafted Kit! The Dear Lizzy Puffy Stickers in the Scrapbooking Add On Kit were the perfect adornment for this journal cluster! & yes, I'm still crushing on those Tiny Word Stickers - could you tell? lol! Such an awesome page for my sweet boy! My takes on today's 3 - To - Inspire challenge! I can't wait to see your creations with this challenge! Be sure to share them with us in the Facebook CTK Fans Page HERE - we LOVE seeing your work! Haven't ordered your kits yet? Visit the store HERE to get started!